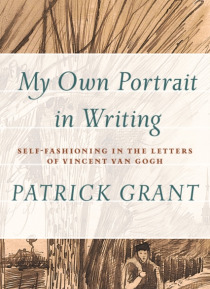 In Grant's earlier book, The Letters of Vincent van Gogh. A Critical Study (AU Press, 2014), he followed a practical-critical analysis of the letters that dealt with key patterns of metaphors and concepts. This volume is a complement to the first book and provides an effective, theory-based reading of the letters that brings them more fully and successfully into the domain of modern literary studi… es. Each chapter addresses some significant aspect of Van Gogh's writing including a "e;reading"e; of the letter-sketches and their narrative dimensions, a deconstruction of the binaries used in Van Gogh's writing and painting, observations of Van Gogh's own understanding of the permeable boundary between words and visual art, and a discussion of the set of polarities apparent in Van Gogh's discussions of imagination, fantasy, belief, and self-surrender. Consequently, as a whole and in each of its parts, this book offers a new, timely, and theoretically-informed interpretation of Van Gogh's literary achievement.